Lake Effect Artisan Ice Cream is Western New York's premier small batch artisan ice cream company. We create unique flavors that can't be found anywhere else. We partner with the remarkable amount of talent in our hometown to create amazing frozen creations with a Buffalo twist. Our shop is located right above the historic Flight of Five lock system on the Erie Canal. We work hard to make amazing ice cream. Born and raised in Lockport, New York, I was always into the cold stuff: I played ice hockey, devoured ice cream, prayed for snow, drank my fair share of ice-cold pops, (but also love the hot wings and great cup of hot coffee, too). As a lifelong western New Yorker, I've always been fond of the region and my hometown. It just seemed the right place for my friend from elementary school, Jason and me to headquarter our Lake Effect business. As a biology teacher at Lockport High School I, along with my wonderful wife and friend Michelle, continue to make our home in Lockport where we raise two incredible kids- our son Anthony and our daughter Paloma. I got this life thing down. My wife Heather is my high school sweetheart and soulmate. I have two great kids: Loren, my artistic and amazingly creative daughter, and Logan, my firecracker of a son and eternal buddy. As if that isn't enough to be thankful for, I teach high school art at my alma mater and own a cool business with a lifelong friend, Erik. I travel, enjoy live music, and respect a great meal (Buffalo rocks this). 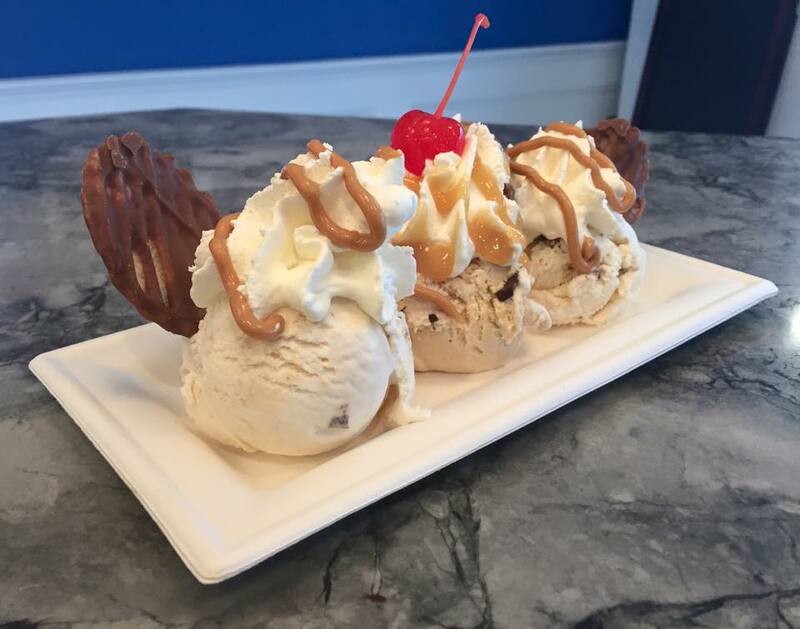 Lake Effect Artisan Ice Cream is a passion of mine and I'm dedicated to bringing our friends the best, locally inspired, amazing ice creams anywhere. Our flavors speak to the things that make us proud to be from Western New York.